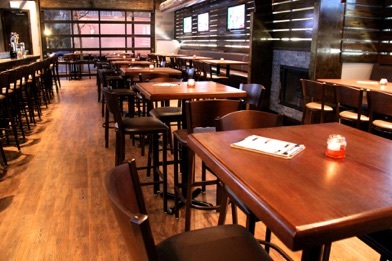 One of Lakeview’s top sports bar & grills, our 15 TVs, including five 70” displays and a quad 92” video wall, make it the go to game day spot for all Chicago sports. Post-game Flagship becomes the local destination for nightlife. Enjoy our custom cocktails, like favorites the Avocado Margarita and Strawberry Basil Lemonade, upscale grill menu, including 312 Mussels, Pork Belly Fritters, The Flagship Burger and Grilled BBQ Salmon, and outdoor dining just beyond the 10’x16’ retractable garage door, which leads to a sidewalk patio.